You need not worry about the ongoing narrative involving DC Comics' Rebirth and a certain classic created by Alan Moore and Dave Gibbons. DC Comics Chief Creative Office Geoff Johns has revealed the endgame in an interview with Blastr that puts DC's superheroes on a collision course with the Watchmen universe. 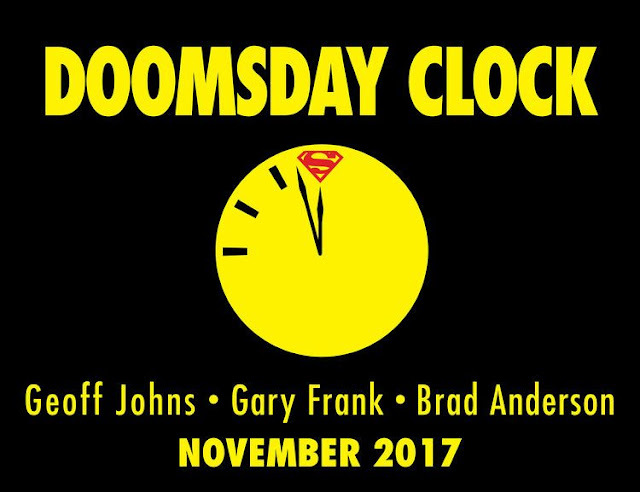 Doomsday Clock by Johns, Gary Frank, and Brad Anderson is the one-shot event comic that ties it all together. Ever since Batman found a bloody smiley face button in the Batcave in Johns' stand-alone DC Universe: Rebirth #1 fans have been waiting for DC to tread on sacred ground again (Before Watchmen prequels were met with consternation and apathy). The four-part miniseries, The Button, has been keeping Batman and The Flash busy unraveling the mystery in their respective comics. It concludes in this week's Flash issue and Doomsday Clock gives Superman his chance to be involved. "There is a lot of focus on Superman, and Doctor Manhattan. Doctor Manhattan is a huge focus, and his reasons for being here, and doing what he does, ultimately have to do with Superman," Johns said. We’re not going to do a story like this unless we one-thousand percent believe in it. It is all about the story; it is only about the story. There are no crossovers. No watered down one-shots or mini-series on top of this one. This is a standalone story. There is only Doomsday Clock. We had no interest in doing a crossover with this. We didn’t want to see Doctor Manhattan facing off against Superman in Action Comics, with all due respect. That is not what this is about. Johns makes it clear this is not a redux of Before Watchmen. This is a single event and not a drawn out cash-grab that crosses over other titles injecting the Watchmen universe for the sake of it but it will be meaningful. "It will have an impact on the entire DC Universe. It will affect everything moving forward and everything that has come before. It will touch the thematic and literal essence of DC," Johns said. Even though this story emerged out of an election year, Doomsday Clock goes further than just partisan politics according to Johns. "Telling a story of two extremes, and exploring what our collective zeitgeist states through these characters is what we are doing. We think it’s important … The truth is, if the world and the country didn’t go a certain way, I don’t know that we would be telling this story. For us, the story would not exist if the last year didn’t unfold the way it did, and the rise of extremism wasn't so palpable." 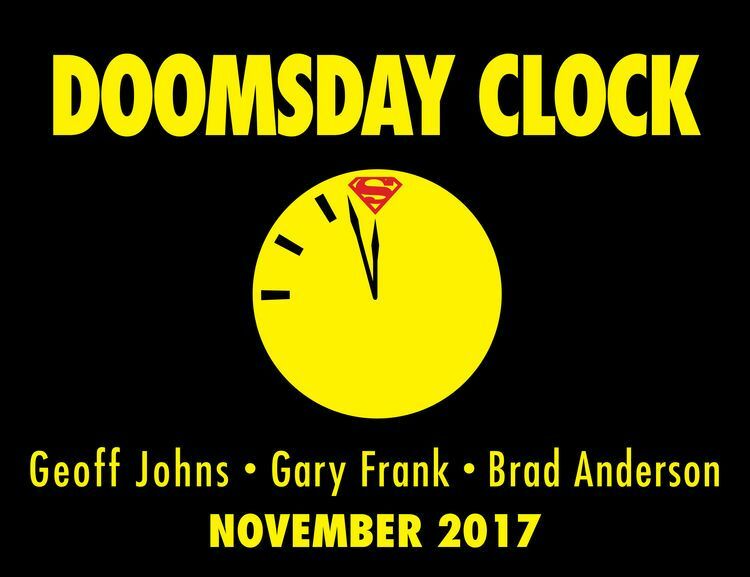 Doomsday Clock begins in November 2017.